Oh god I can’t wait for Alien Minds after reading about Thorne and his fight to do the right thing for the Universe and to help others. Once he meets Meimi everything changes, and looking after her and finding out everything about her is paramount. This is the second Prequel and is from Thorne’s point of view, so to get a balance view before we all enjoy Alien Minds coming next month its best to read Scythe which is from Meimi’s point of view and is on KindleUnlimited at the moment. Now I have another series of Christina Bauer to follow, sometimes I would like just a peak inside her imagination and see how she does it time after time. Except I think it might give me a fright. Good luck and have a pleasant apocalypse. The end of the world is coming. How or when, scientists can’t agree upon. For decades, Earth’s best line of defense has been a team of young soldiers known as the Apocalypse Five, forced into virtual reality simulations to train for Doom’s Day. But, this is no game. Death on the grid is brutally final and calls up the next in a long line of cadets. Stationed aboard the AT-1-NS Starship, the A5 are celebrities thrust into the limelight by a calling they didn’t choose. All it takes is one unscheduled mission, showing seventeen-year-old team leader Detroit a harsh and unfathomable reality, to shake the A5’s belief in all they thought they knew. After questioning people with the power to destroy them, the team is framed for a crime they didn’t commit and marked for death. Now, the hunt is on. 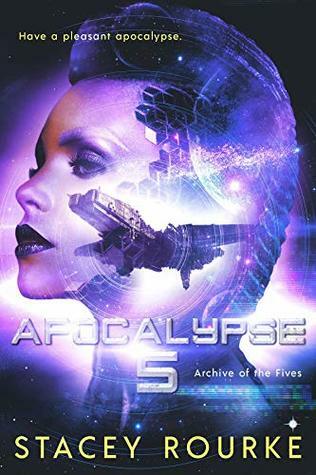 Can the Apocalypse Five expose the truth the starship would kill to keep hidden? Or, will their bravery end in a public execution? Wow what an amazing start to an imaginative series. As book one we are introduce to the world the Apocalypse five live in aboard a star ship thinking they are training to defend earth. The five spend all the time together, and ages starting at twelve or thirteen they are fighting battles of life and death. Until they find out something they shouldn’t and everything they find is a lie and the apocalypse has already happened. I’m in awe at the imagination authors in this genre have. I thoroughly enjoyed this introduction to hopefully an absorbing series that I’m looking forward to. So where is book two? Sometimes the person you lie to the most is yourself. The Silver Six have blown the Renegades’ underground compound to bits, killing several of Rebecca’s best friends in the process—and to her horror, the boy Rebecca had convinced herself she loved for all these years was the one to betray them all. At the same time, General Specs, the company Liam was once slated to inherit, has developed a superintelligent robot called Jaguar which is quickly becoming godlike in her omniscience. 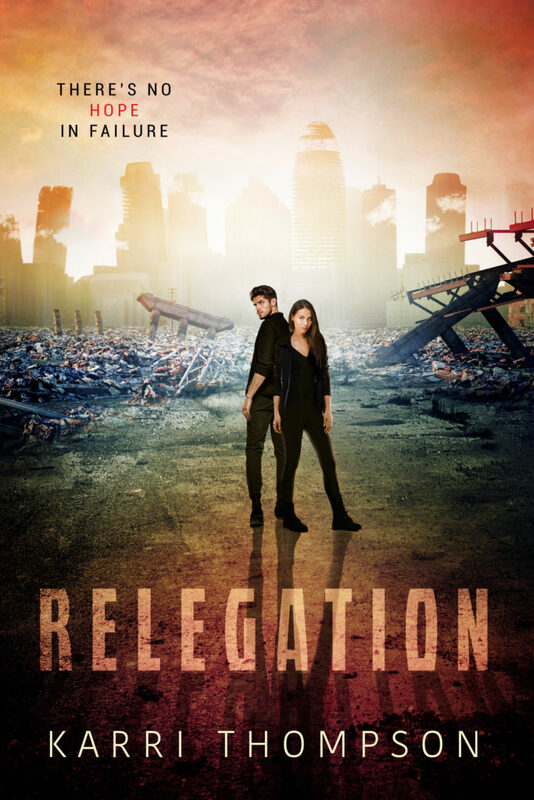 As the remaining Renegades flee to their last bastion of safety in the Caribbean, Liam makes his way back to London, in a last ditch effort to convince his father to destroy Jaguar before it’s too late. Rebecca, meanwhile, finally understands her own heart: she never loved Andy. He was merely a ‘safe’ choice who would never require anything of her. Liam, on the other hand, exasperating as he was, had seen past her defenses. All of his teasing and provoking had been his attempt to get her to be real with him—but the more he made her feel, the further she had retreated. She had even substituted her companion bot Madeline for real, deep human friendships, and for the same reason: she’d been avoiding love to protect herself from another loss like the one she had experienced when her father was killed for the Renegades’ cause. Ironically, she only realizes this once Liam is on his way to a similar fate. But she’ll be damned if she lets him go without a fight. This high stakes conclusion to the Uncanny Valley Trilogy envisions a world not too far off from our own, in which superintelligence is a reality, humanoid bots have supplanted human power and influence, and there are eyes watching and reporting our every move. If humanity is to survive, the Renegades will have to galvanize support across the globe, under the radar—and it will require every last bit of ingenuity they possess. But is attempting to outwit a superintelligent being really the answer? Or will it require something much more fundamentally human? This is the third book in this series. Make sure you get all three books, so you don’t miss anything!!! C.A. 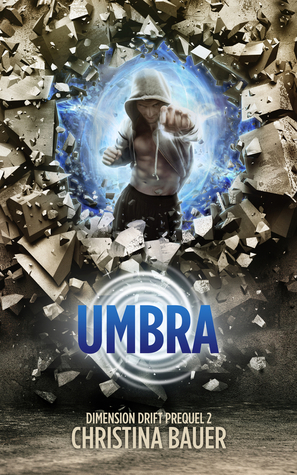 Gray is the author of the YA Fantasy PIERCING THE VEIL trilogy, as well as the YA Dystopian trilogy, THE LIBERTY BOX. 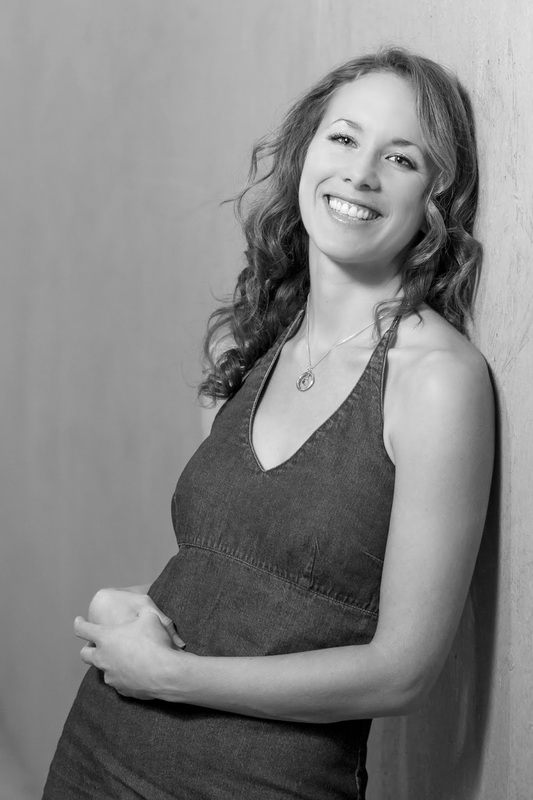 By day, she is a Naturopathic Medical Doctor (NMD), with a primary care practice in Tucson, AZ. Additionally, she writes medical books under her real name. 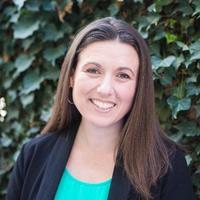 Her favorite authors include J.K. Rowling and Suzanne Collins, and she also reads an exceptional amount of non-fiction. She is blessed with exceptionally supportive family and friends, and thanks God for them every single day! Well I have waited with bated breath for this book after what happened at the end of The Silver Six. This book is everything you need in the final book of the trilogy. There was so much action and I not going to tell you as the pleasure is finding out for yourself. In this one Becca wouldn’t take no as an answer from a buffed-up Liam. We get to meet Liam’s mother and father in this book, there is much at stake for the future of mankind, and it was a pleasure to see everyone working together to change the future. Lots of surprises, that’s all for now. Today we have the blog tour for the entire VAN WINKLE PROJECT Series by Karri Thompson. 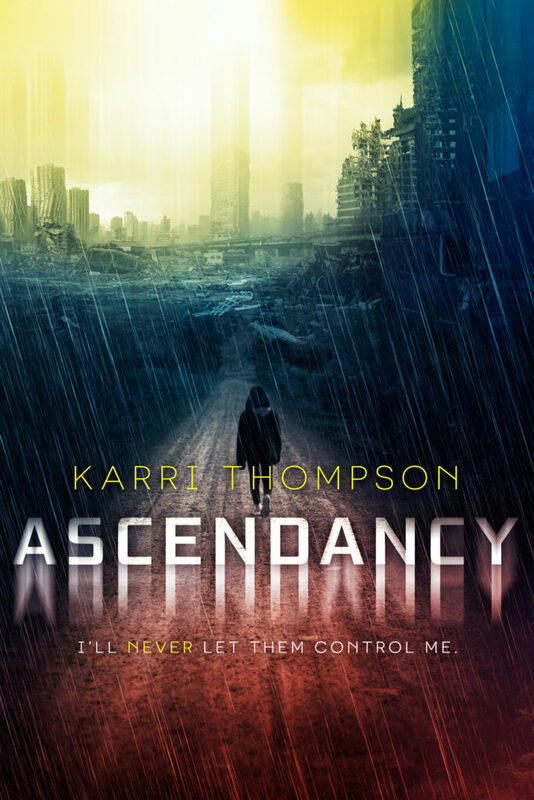 The series is an amazing YA Dystopian series you NEED to check out! Put into a cryogenic tube at age seventeen, forgotten during a holocaust that decimated the world, I’ve finally been awakened to a more serene and peaceful future. 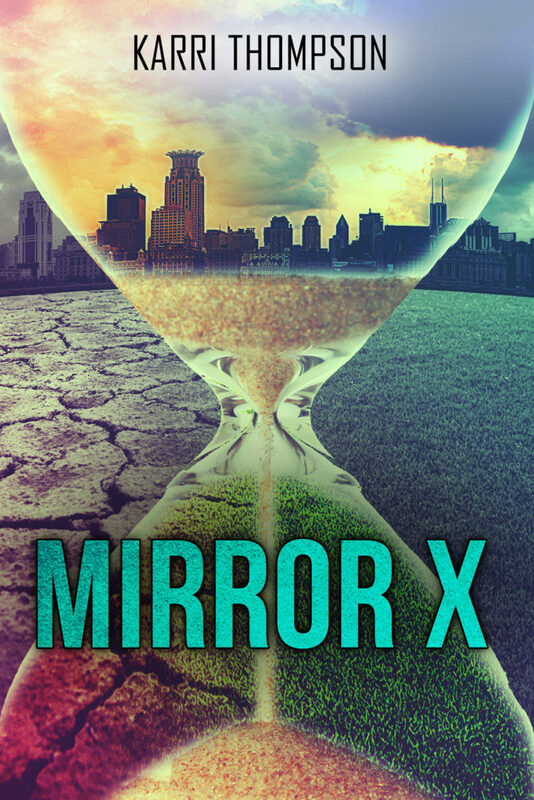 MIRROR X Buy Links 99¢ for a limited time! I’ve been lied to, deceived, and manipulated—again. You’d think I’d be treated with dignity and respect. I’m the one who’s supposed to save humanity, right? I’m the one with the power to re-populate this dying world. But the clones want to control me, force me to give birth over and over again. And my daughters will face the same fate—unless I change it. My awakening into this future should have been a chance for a new life, but it just promises a living death. With Michael on my side, though, maybe I can save us. He’s the only person I can trust. I hear rumors of others… A secret society is growing. Tension is building. I’m feared, yet revered. The presidents are leery of me, but I’ve read the files. And I know the truth—at least, I think I do. And I’m the one who is going to tell the clones. They deserve to know. Michael and I have been forced to fight, to kill. We’ll do anything to keep our daughters safe and free. But we can’t do it alone. There’s a rumor about a secret society eager for battle… and we’re going to find them. Help them end the government’s corruption. It’s my duty, my calling as the first mother of the new world I want to create. This started with me, and that’s where it’s going to end. I afraid you will have to excuse me, I just emerging from the future after reading the three books in the series one after another. First we have MirrorX where Cassie a seventeen year old was killed in a helicopter accident 2022. Cassie’s grandfather believed in cryogenics and placed Cassie in the company specialist S.T.A.S.I.S in Los Angeles. So poor Cassie is awakened in 3022, we memories of just before the accident. Helpless in a bed with a body so wasted she cannot move. It doesn’t take long for Cassie’s real personality come peeking out, but she knows she can’t do anything until she is fit enough. This book finishes a story arc as they escape to Tasma to complete there project. You just so know the perfect peaceful world is not all it seems ,and after being betrayed they get ready to implement the project in Tasma. I not going to give to much away except to say I could see these books in a film format in my head as Michael and Cassie move through regions not knowing who to trust after being let down after Cassie finding out the truth of what happened to her. In this brave new world a plague decimated the population 500 years before. One side effect left all women infertile, so for the last 500 years they have used cloning. Unfortunately the female clones are infertile. So all the populations left are all clones, and he who has the technology has the power. This is a great trilogy as we watch the world trying to change and to be free. Let me say I enjoyed this immensely and I still firmly trapped in the 3020s. I hope these come in an Audio format, and these are written for YA market so we have plenty action, underhanded behavior. The only unpleasant things that happen is what is in context to the story. This old bird thoroughly enjoyed my trip to the future. 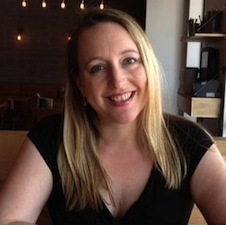 Award-winning author Karri Thompson, a native of San Diego, California, grew up hanging out at the beach, playing sports, and eventually attending San Diego State University where she earned her bachelor’s degree in English and master’s degree in education. When she’s not nerding out at San Diego Comic-Con or watching Star Wars and The Lord of the Ring’s movies for the umpteenth time, she can be seen doing normal people stuff like cooking delicious meals for her family (she attributes all her culinary skills to the Food Network) and watching her son’s football games. 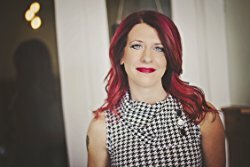 In her spare time, she writes young adult and new adult fiction (new adult under the name Kalli Lanford) and loves listening to hard rock music and going to concerts. She hopes to live long and prosper, and that you will, too. Her breathing increased, and she tried to bring her arms to her sides, to push herself out of bed. Her arms stayed where they were. What was going on? Why couldn’t she move or see anything? Was she dead? She tried to thrash about, to move anything, even a finger, but nothing worked. She could still feel herself in her bed, presumably still in her father’s small hut on the outskirts of Riverbrook. Of course she was, how could she have been moved in the night, that made no sense. Besides, she thought she could still hear the bleating of their sheep outside. She struggled to move once more, with no result. A low rumble shook the room around her, and she stopped all efforts to move. Someone was there, inside the room. She could feel it. She could sense it. She tried to speak, to call for her father, for anyone, but she couldn’t. Try as she might, she couldn’t even get her lips to part. She must be dead, that was the only explanation. But no, she was still breathing, but her chest moving up and down was the only movement she felt. Well, that and the beating of her heart, which felt like it was shaking her body by now. The rumble came again. It shook the bed she slept in and rattled her bones. Was it an earthquake? Surely her father would feel that and come for her. But no, it didn’t feel exactly like an earthquake. She’d felt those before, this close to the mountains. This rumble rose and fell. Wait! Jak’s mind began to catch up with her. Those were words hidden in the low vibrations. Deep and powerful, but there. “IS IT YOU?” was all she could make out. “Me, what?” Only after the words came out of her mouth did she realize that she could speak again. She almost laughed out loud with joy. But before she could call for her father, the vice-like darkness pressed into her again. The voice growled. Not quite like an animal, but not quite human either. Then with a suddenness that took Jak by surprise, the dark force left her. Her eyes immediately began to make out details in the room, though the light from outside was not strong. Even better, she felt her arms and legs move at her command. But what exactly should she tell him? That there was an intruder in the home? And that that intruder had kept her from moving or seeing anything? Even now, thinking about it, and looking around her, it seemed silly. She must have just had a nightmare or something, and mistook it for real life. There was no one here. She walked to the front door and confirmed the lock was still engaged. She didn’t need to bother her father with this. The dream had probably come from all the stress she was feeling for the upcoming Branding. Yeah that had to be it. A Gifter was in town to give all eligible young people their brand, the magic power they would carry for the rest of their lives. No Gifter had entered Riverbrook in years, and Jak was finally old enough. She loved brands! She spared a glance for the journal that lay beside her bed. It held everything she had ever learned on all the brands. She knew each line by heart. Nevertheless, the Branding was not only the most exciting, but simultaneously the most stressful thing to happen to Jak in her life. Just thinking about it made Jak hurry to get her breath of fresh air. Slipping her boots on, she tiptoed outside. Even at sixteen, her father didn’t approve of her leaving the house before he awoke. He was ridiculously worried about her like that. He didn’t even let her go into town on her own yet. She was old enough, and all of her friends were allowed to go into town. In a small village of less than a hundred people, where everyone knew everyone, what possible danger could she get into? So she did her best not to make any noise. Regardless, she needed some fresh air, and to wash her sweating face. Light had appeared in the east, though still faint. She grabbed a bucket and used the faint light to guide her to the nearby brook that gave the local township its name, and also provided water for farmers and livestock, including her father’s herd of sheep. Upon reaching the brook, she bent down to pick up a handful of water, sipped gently, then used the rest to wash her face. The brook was cold to the touch, coming from the snow-covered peaks to the south. It was nearly spring, and the brook was finally starting to fill with water. Jak pulled up her heavy, dark hair into a bun, careful not to cover the deep red streak that ran from her right temple to the tips of her hair. No one had hair like her and it was at least something that made her a little special in this tiny town. Though it was just about the only thing that made her special. She avoided twisting her finger in the streak, like she was prone to do when she was nervous. Her father said she got it from her mother, though he wouldn’t say more on that subject. Jak had never met her mother. Apparently she had gone off into the mountains shortly after Jak was born and never came back. She set about dipping her bucket into the brook. The sun was just beginning to light the sky and she could faintly make out her surroundings. But…something was strange. The brook lay in front of her, but beyond it, closer to the mountains, she thought she saw a dark figure stalking the way near the foothills. She squinted, dread filling her stomach once again. Was there someone out there? Had her nightmare been real after all? What if her experience had been caused by one of those demons she kept hearing about? She had heard that rogue Gifters sometimes created small armies of demons, though she had trouble believing it. Who would intentionally mutate a human like that? Her father, who had an unusual knowledge of outsider things, always said there was some truth to rumors. So she peered intently at the far-off shape. But she blinked, and it was gone. Hesitant, Jak could feel a chill settling back into her spine. But no, it was probably a trick of the morning light anyway. She still couldn’t see much. Besides, demons would have…eaten her or something, if that had been the problem. She didn’t have a scratch on her, so it couldn’t have been demons. It must have been a nightmare. Best to just get on with her chores. Feeling slightly comforted, but still uneasy, she collected her bucket and turned back to the house. Returning from the brook, she paused. Something bothered her and she still couldn’t figure out what. Wait a minute, she couldn’t hear the sound of any animals. The sheep were always making some kind of noise, and Grettle, their sheep dog, was usually awake as well. Just now, there was nothing, no evidence of life, not even the morning songbirds. Curious, she diverted her course to the sheep pen. Perhaps they were all still asleep for some reason. Maybe she had just been too far away to hear anything. As she approached, though, nothing stirred. Upon arriving, she finally saw why. The bucket of water fell to the ground, forgotten as her hands cupped her mouth in shock. All of the sheep were dead. Not only were they dead, but they had been slaughtered. Entrails lay all over, and blood coated their fleeces. So much blood! More than a sheep could hold! It mixed with the mud, pooling and dripping down the slight incline towards the gate. Towards her! A wild beast, no, several wild beasts must have come here in the night. They had left nothing alive. Breathing hard, she slipped in the mud as she turned to run as fast as she could to the house, the pale of water still lying on the ground. She raced through the door and already her father was awake and out of his room with a knife in hand. That knife was never too far away from him. He carried it everywhere and always left it on his bed-side table at night. He held it now, unsheathed. “I’m fine,” she panted, having forgotten her nightmare. “It’s the sheep, they’re…” but at that moment, something jumped from her stomach to her throat, and she rushed back outside to vomit. Not much came out, she hadn’t eaten anything yet. But that didn’t stop her from heaving and coughing. Her father put on his boots in an instant and stepped outside. “Stay close to me,” he said as she wiped bits of bile from her lips. “Stay. Close,” he said again, slowly with emphasis. It was not a suggestion. Jak said no more. She wanted to protest his overprotective nature. She always wanted to protest that. But perhaps this time he was right. Something was out there, something that had slaughtered all their livestock. The last place she wanted to be was away from her father’s side. They approached the pen, and Jak heard her father take several deep breaths. “What is it?” her father asked, looking down at her. Rael swore under his breath. “Come!” he said, almost harshly. He never raised his voice at her, even when he was angry. Jak did as commanded, not daring to question him when he was in this kind of mood. Once they were back in the house, her father told her to get ready to leave. They were going into town. That was fine, they had planned to go there today anyway, for the Branding. Despite everything that had happened in these short morning hours, hopefully they were still going. It was the only day that the Gifter would be here for the next two or three years. She didn’t want to wait any longer. Thankfully Britta and Sandy, their two horses, were still alive. Whatever had killed the sheep had stayed away from the stables. From the way they stamped their feet and shifted from side to side, Jak could tell that they had been spooked though. They understood that something horrible had just happened. After calming them down, Jak helped bridle and attach the horses to their wagon. As she brought them around the house, she saw her father carrying several barrels of grain in the air with his brand of Telekinesis. She marveled as she watched his magic at work, the brand on his left hand glowing with the effort. He placed them on the wagon and went back inside to get more, calling on Jak to help as well. Pulling herself out of her thoughts, she did as instructed. “Are we taking all of the food?” she asked her father. Her mind was starting to race. What did this mean? Were they leaving the house for good? Staying? In Riverbrook! She’d love to stay with Namen, even if she had to sleep on the floor. She could stay up all night talking to Marek, Namen’s son. Marek was her best friend in all the world, and had been since they were young. For years they had talked about what brands they were going to get, and now they would finally have some of their own. She wagered they would never stop talking tonight. She hid her excitement, only nodding her head and continuing to fill the wagon. Once they had loaded most of the grain and dried mutton, some clothes, and a few blankets, they were ready to set off. The only other item Jak made sure to grab was her journal. She took a moment to glance at it while she waited for her father to bring the last of their supplies. It was full of illustrations that Jak had penned herself, pictures of the various brands, with notes scribbled below and around each one. It was an orderly mess, but one that Jak adored. And today would be the day that she would receive her very own. Or at least, she hoped. She wasn’t certain what the Gifter would say when she made her request. Jak hoisted herself into the driver seat. Her father usually let her drive the horses these days, one of the few liberties he allowed her. Though he still never let her go alone. Jak didn’t dare ask him why he was taking it out now. Perhaps he had some idea of what had attacked the sheep in the first place. Whatever it was, it had him on edge, and that frightened Jak more than the dead sheep. Her father hoisted the spear into the wagon where it landed on the foodstuffs with a heavy thud. He then hopped on himself, keeping the bow and quiver on his person. He said nothing, but nodded at Jak to begin driving. After a sharp crack of the reigns, they were off. Neither said much as they approached the village. It was several miles away, following the river. Rael never was one for talking, and Jak was too busy thinking about the morning, but also about the Branding. Despite her father’s obvious bad temper, she eventually had to ask. Parrem, or the “Lord Mayor” as everyone else called him, was the man in charge of Riverbrook. Which mostly meant he sat around all day and occasionally organized and hosted the Branding. He also conducted the village’s religious ceremonies, primarily reading to them from the Annals of Adam on High Morning. Relief flooded her. At least her father was being reasonable on this matter. Despite everything that had happened, the last thing she wanted to miss was that rare event. She had been too young the last time a Gifter had visited their small town. She had never told her father which brand she wanted to get, and her father never pushed her for information. Branding was a personal decision, he always said, and it should be made without outside influence like parental or societal expectations. That level of freedom was unusual coming from him. Most would probably assume she’d take the same brand as her father, but he had never made that assumption for her. Despite her father’s assurances, Jak knew that he secretly wanted her to join him as a Telekenetic. Many children did this, choosing the brand of their parents as a way to make apprenticeship easier. But as exciting as her friends found it to be, Jak never wanted Telekinesis. She knew what she wanted, and she also knew that her father would not like it. By the time they reached the town of Riverbrook, the sun was already high in the sky. The town was small, or at least that’s what people said. Jak had never seen anything bigger, so she couldn’t really say for herself. But to her, it was the best place in the world. Coming to Riverbrook meant spending time with her friends, gazing at the larger homes, and maybe getting a piece of candy from Marek’s parents at their shop. Most of the buildings ran along one street, though some of the bigger structures, like the Lord Mayor’s house, sat off on the east side on a small hill overlooking the town. “Jak, you’re here! Jak!” A voice cried out. It was Marek, Jak’s best friend. She looked at her father, who nodded, and Jak hopped off the wagon, taking only her journal with her. “I…I’m still not sure,” she lied. Blood-burning was a very dangerous type of brand, one that allowed the user to boil the blood inside a person. It was outlawed for most people, but rumors persisted that the queen at Skyecliff had a secret band of Blood-burners as her most deadly assassins. Jak turned back to Marek, “So what brand do you want?” she asked. “I’m sure he’d love that.” Jak said. Her excitement rose. She would love that too, though she’d never say as much to Marek. Maybe this meant she would see her friend more often. But just as soon as she thought it, she realized that was impossible, and her spirits slumped. Not with the brand Jak was about to choose. Jak felt her spirits fall even further as she remembered the morning events. “No, I’m afraid we had some trouble this morning.” And she proceeded to tell them everything that had happened, about the sheep, the smell, and the gore, and the creature she thought she saw though she left out the part about her nightmare. She needed to know more before she told anyone else. Marek and Paul gaped at her with an odd mixture of revulsion and admiration. Boys were so weird. “You mean, all of them were dead?” asked Paul, disbelief on his face. “She’s probably lying,” a voice came from behind Jak. She turned and closed her eyes in exasperation. It was Estel, a girl just a year or two older than Jak, and her least favorite person in the world. “Cut it out Estel, she never did anything to you.” Marek glared at the girl, the same disgust on his face that Jak felt. Marek was the only one who frequently stood up to Estel, and the girl seemed to like that. Even now, Jak could see the hungry look in Estel’s eyes as Marek told her off. Jak’s eyebrows furrowed. If Estel knew what was good for her, she would stay away from Marek. If not, Jak would…well, she wasn’t exactly sure what she would do. “Ahem, so…I wonder where the Gifter is,” said Paul, trying to cut the tension. “He’s with the Lord Mayor,” Marek answered, his eyes still on Estel. “He arrived last night.” Marek’s parents were shop owners, and got to see almost all of the visitors into town. “We should probably head over there,” Jak said, “All the new blood and trade masters are supposed to meet at the Lord Mayor’s home by midday.” She looked up at the sun. It must be close to midday already. Naturally. Vern was a trade master for Strength, even though he only received the brand himself a little over five years ago. He also ran the only tavern in town. Assuming that Paul really did receive a Strength brand, Vern would likely be his trade master. They walked through the village, down main street and up a small side street that led up to the Lord Mayor’s home. The building towered over all the rest. It was the only building within miles to have a third story. What would anyone do with all that space? Though she had to admit, it was still the most exciting building in town. Catching herself staring, she forced her eyes back down to her level and joined several other boys and girls her age at the door, which hung open to let everyone in. She recognized all of them, though many, like Estel, were a little older than she. Because Jak had only recently turned sixteen, she only barely made the cut. Naomi, one of Jak’s older friends, waited inside to greet them as they came in. Naomi currently had a job as the mayor’s assistant. They each shuffled in, admiring the large house from within. There was enough room to fit Jak’s entire wagon and stable in here! Who needed so much space? Jak had never been in the Lord Mayor’s house before. The man himself was portly and, some say, came all the way from Skyecliff. Apparently he had run into some financial trouble there, or at least as much financial trouble as a nobleman could have. 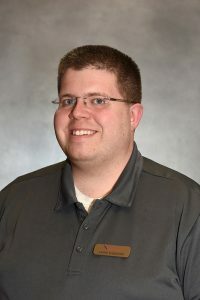 He moved to the small town of Riverbrook and soon became its mayor. Most of the villagers didn’t mind this, as long as the old man left them alone, which he did for the most part. His main role was to represent Riverbrook when passing nobles or Gifters arrived. Naomi led them to a large room in the back of the mayor’s home, where benches stood in neat little rows. Many of the adults were already there, including Rael, Jak’s father. He was standing silently in the corner with his arms crossed, observing the room. He was always like that: watchful, sober, never relaxed. The other adults were all trade masters, specialists in one particular brand or another. They greeted the young hopefuls by bringing their brand hand to their chest, nodding and smiling. Jak eagerly sought out the brand on each hand she saw, running through all the different options in her mind. A door at the other end of the hall opened, and the Lord Mayor stepped in. He was accompanied by a man who was unmistakably the Gifter. The stranger had on a long coat that hung down to his knees. The coat was dirty and worn, as was the man’s face, hair, and beard. His brown eyes twinkled as he saw Jak and the other young women and men. He ran a hand through his beard, which was starting to gray. Jak kept her eyes fixed on the Gifter, who was taking a moment to meet the eyes of each young person in attendance while the mayor rattled on and on. When he met Jak’s eyes, she thought she saw something there, a deepness. His eyes lingered on her, perhaps more than the others? Jak swallowed. Did he know anything? Could a Gifter somehow tell what brand a prospect wanted? She glanced at her left hand, imagining the brand there. She was brought out of her thoughts as the mayor abruptly finished his little speech and gestured to the Gifter, turning the time over to him. Wow, a real teacher from Skyecliff. What it would be like to see a city that big. Jak felt excitement course through her. She loved any mention of the Holy Relics, the sources of all magic. Branded artifacts that had first provided templates for the brands. Everything they knew came from one Relic or another, and one day, she hoped to see one with her own eyes. Jak clutched her journal, and felt her nervousness rise. What if the Gifter said no? What if she couldn’t get the brand that she wanted? What if…? Every possible scenario played out in her mind as the Gifter began to list the approved series of brands. She already knew all of that, and she only partially paid attention. This was obviously a routine that the Gifter had recited many times before, for his voice had grown monotone. So Jak was almost surprised when he turned to the first child on the row in front of him. “Ella,” the girl said timidly. Of course. Ella was from one of the poorest families in the village. They must have spent years saving coin for the brand, knowing that a brand like Hungerless would save them money in the long run. Many families chose this brand. Ella would still need to eat, but in far-less quantities than before. It was a passive brand, one of the few that didn’t require an apprenticeship. “Ah, very well. Are you sure? The brand stays with you for life. You will never have another. You can never change it.” Ella hesitated, but nodded. Gabriel accepted the pouch, and placed one hand on Ella’s left wrist. Ella gasped as a sound like burning flesh filled the air. Light shone from the Gifter’s own brand as his magic did its work. When the light subsided, a patchwork of black lines had formed on the back of Ella’s left hand, the traditional location for a brand. She raised her hand to look at it, excitement evident on her face. “Th..Thank you,” she muttered. The Gifter smiled and moved on to the next in line. He continued this process, asking the young person what brand they wanted, occasionally asking a mentor if they would accept an apprentice, taking the money, then giving the requested brand. He was coming closer and closer. Soon, it would be Jak’s turn. Nervously, she clutched her journal closer to her chest. Marek was sitting next to Jak and the Gifter approached him first. “And what is it that you want?” he said. “Telekinesis,” he said without hesitation, holding his pouch of coin high. A mutter ran through the room. No one had asked for that brand yet. Rael was the only mentor in the whole town, and he lived far enough away to make regular journeys a staunch commitment. “Very good, well then.” Gabriel offered a hand and took Marek’s outstretched arm. He was visibly shaking with anticipation. His face quickly turned from excitement to pain as the brand settled into him. Soon, however, it was over, and a criss-cross of black lines extended from the back of his hand. It was one of the more complex brands. Now, it was Jak’s turn. She swallowed. She had imagined this moment for a long time, but now felt like she almost couldn’t work up the courage to ask for the brand she had chosen. “And what would you like, my dear? 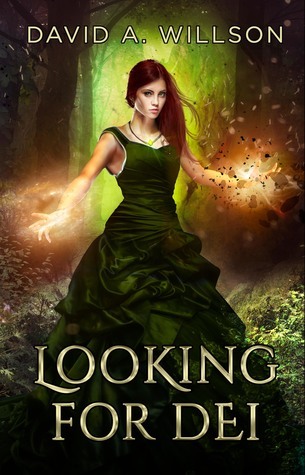 Telekinesis like your friend or your father?” Jak blinked. How did he know that she was Rael’s daughter? Jason is an unapologetic nerd of all things science fiction and fantasy. He’s particularly fond of expansive shared universes like Star Wars or superheroes. Now he writes in his own shared universe called the Argoverse, which includes the Roots of Creation series and the Alice: The Last Founder series. When he’s not living in his own head, he’s marketing web content, playing piano, cooking, or simply enjoying a good story. Under suspicion for a crime she watched him commit, Lana will pay for her silence. Her new lawyer strikes a deal, sending her to a boarding school in Vermont. It’s supposed to be a second chance. An escape from a dead-end life in Sherling. Except Lana doesn’t want to leave those who depend on her behind. Lana is convinced she has nothing in common with the sons and daughters of celebrities and politicians who attend Blackwood School. But she soon finds out, that they’re all delinquents… just like her. Theirs is a world of contrived headlines and publicity facades, and Lana’s unabated honesty is a keen contrast to their lie-filled lives. She finds herself with new friends, just by telling the truth. But not everyone is welcoming. Someone is out to destroy Lana, and she has no idea why. The longer she stays at Blackwood, the more dangerous it becomes for her and everyone she cares about. And it will only get worse when Lana discovers the truth. Optimism seeps from every pore of my body. I truly believe that what’s supposed to happen… will! In that regard, I don’t know how to give up; it’s not part of my biological make up. I’m a passionate (and some would say, overly enthusiastic) person. I learn by doing (and have been burned more times that I’d like to admit), but I will always throw my entire self into whatever I do – fail or succeed. I think this is evident when I write, leaving nothing behind and spilling it all out on the pages. I give it all to my readers – love it or hate it. The heroine of our story is a teenage girl called Nara, and she lives in a backwater and poor village called Dimmitt. Nara and her friend Mykel are awaiting the announcement ceremony where hopefully someone in their village would be gifted and bring hope to the village. This is start of an adventure which takes them from one end of the land the other. Until Nara is captured for her gifts to be used by an evil and ambitious man. This is the first in a series, and sets the scene perfectly. There is the world building, believe system and ancient prophecies and the great characters. All in all an enjoyable and captivating read. Where is book two, I’ll be waiting as I love to escape into interesting and magical stories. 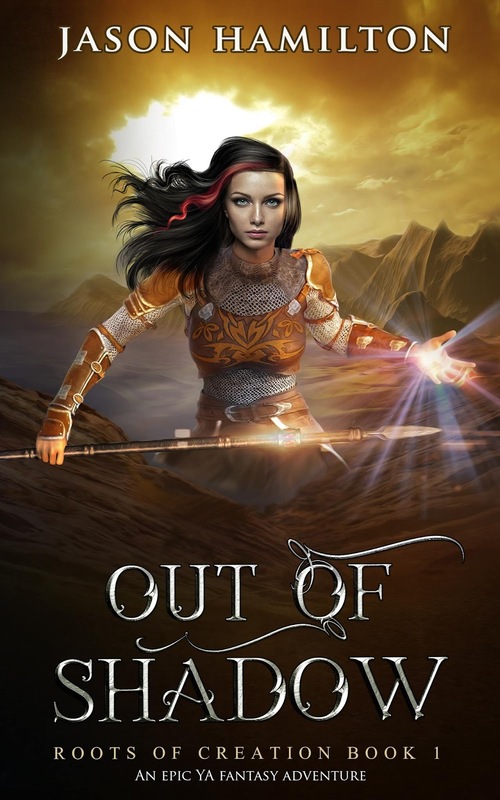 Uncover a Lifetime of Lies in this Fantasy Adventure! On Day One, Charlie Damuzi and her mute twin brother, Tirigan, are blissfully unaware of the dangerous world they live in. They may be aliens living on Earth after the extinction of humans, but to Charlie, life is pretty mundane. On Day Two, the Damuzi family is ripped apart by a secret that forces the twins to flee the only home they’ve ever known. 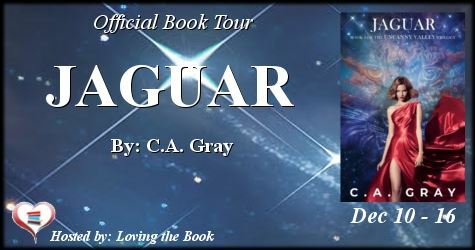 Determined to reunite their family, Charlie and Tirigan travel to uncharted territory in search of their salvation. But that’s just Charlie’s side of the story. In the future, forty days from when we first meet the Damuzi twins, Tirigan is on the move. His destination is unknown, as are the people he’s surrounded himself with, but his mission is still the same. Keep his sister safe and reunite their family. 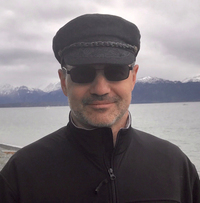 However, as Tirigan attempts to navigate the complex bonds he’s formed with his companions, he’s forced to confront the one thing in life he has yet to fully understand. Himself. It all begins on Day One. 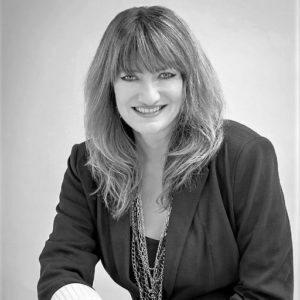 Indie Gantz grew up in Northern Virginia and received her Psychology degree at George Mason University. Despite her passion and curiosity for the human mind, Indie left her chosen field of study to finally give voice to the many imagined minds she has created. Indie lives with her family in North Carolina. She spends her days drinking tea and clacking keys. 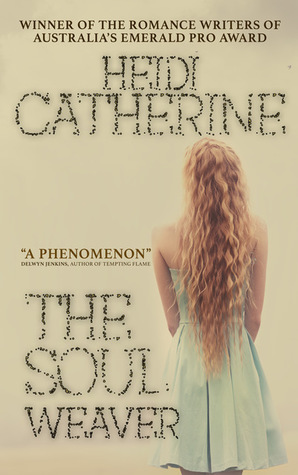 Blog Tour + Review: THE SOUL WEAVER By HEIDI CATHERINE!! She’s loved and lost him a hundred times across a thousand years. She can’t bear to lose him again. Lin’s dreams are haunted by faces of people she’s never met. Unable to shake the feeling she’s lived before, she’s drawn to Reinier—a stranger whose soul is heartbreakingly familiar from a time gone by. Reinier helps Lin unravel the mystery of her past life as Hannah, a girl who sacrificed herself for her true love, Matthew. As Lin falls hopelessly in love with Reinier, her memories of her life as Hannah sharpen and she finds herself unable to let go of Matthew. With her heart torn in two, Lin must decide whether she should stand by Reinier’s side or track down Matthew and fight for his love. What she doesn’t know is that her decision will ripple across our troubled planet, affecting far more lives than just her own. Winner of Romance Writers of Australia’s Emerald Pro award, The Soulweaver is a story that will change the way you see the world. Wow what an original slant reincarnation until souls reach fulfilment and a level of completeness. The book starts with Hannah with her boyfriend making out in a beautiful clearing in part of forest in Australia. When suddenly a boy of about 15 comes at with a knife, and Hannah knows no more. Hannah realises she dead, and she doesn’t know how. When you die you meet the Soulweaver, and you receive images of past lives. Before your reborn your memories are washed away, Hannah manages to hold on to her memories. This is a fascinating read as we follow the soul that was Hannah’s through her incarnation as Lin. A young girl who dreams of a Forest and a clearing. Also she sketches faces she has never met I’m doing it again telling you the story. You have to read it, it is easy and quick to read as it flows with ease. I for one would like to read more from this author with her different views which makes me read and believe what has been written. Great Book and I can’t wait for more. Heidi’s debut novel, The Soulweaver, won Romance Writers of Australia’s Emerald Pro award and will be released by Crooked Cat Books on 19 Jan 2018. Not being able to decide if she prefers living in Melbourne or the Mornington Peninsula, Heidi shares her time between both places. She is similarly pulled in opposing directions by her two sons and two dogs, remaining thankful she only has one husband.